Remember the Urban Parka from Armadillo? Well, the company has just launched its new range of scooter-friendly clothing – including a classic mac for both men and women. 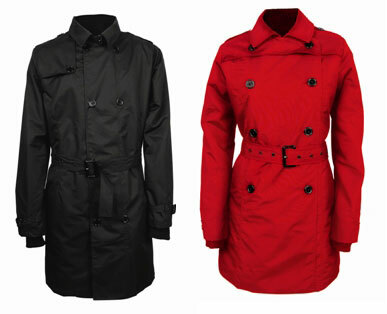 The coats are pictured above, with the men’s Classic Macintosh on the left, the women’s Scarlett Macintosh on the right. Both feature a double-button front and belt fastening. And as they’re designed for scooter riding, there’s also d3o impact protection, wind and water-proofing, Thinsulate insulation and the use of a breathable fabric for all garments. Both will be available online in the very near future, alongside new male/female parkas and a variety of accessories. Pricing to be confirmed.